Alexander Hamilton once said: “(People) often oppose a thing merely because they have had no agency in planning it.” It is amazing to see the work that many like-minded people can do when given the opportunity. At the recent National Alliance to End Homelessness Conference in Washington, D.C., members of the Community Initiatives Department with the Missouri Housing Development Commission had the opportunity to have breakfast with Bob Pulster, Regional Coordinator for USICH, and discuss our current work within Missouri. This discussion solidified for us that a lot of what we do in the state really revolves around establishing partnerships and trying to work on getting the right people to work together in solving the complex situations surrounding individuals and families that can result in homelessness. We do that through the Missouri Governor’s Committee to End Homelessness (GCEH), which serves as the state’s Interagency Council on Homelessness. The GCEH believes that homelessness is unacceptable in Missouri, and that housing is a right, not a privilege. State members include Corrections, Education, Mental Health, Social Services, Economic Development, Veterans Affairs, and the State Housing Finance Agency. Other members include multiple non-profit organizations that provide advocacy and direct services, a formerly homeless individual, and representatives from each of the eight Continuums of Care (CoC) within Missouri. We hold open meetings, allowing other stakeholders to take part in the conversations as well. From the beginning, it has been important to make sure that members felt knowledgeable and involved within the GCEH. At the state level, the GCEH has done excellent work in bringing everyone to the table, resulting in many accomplishments, from creating a statewide discharge policy to organizing an annual Homeless Awareness Conference. One example of how a member agency has contributed to this collaboration is the work of the Missouri Housing Development Commission to improve CoC collaboration. As a major funder of homelessness assistance, the Commission has required all recipients to attend 75 percent of their local CoC meetings. This brings more agencies to the local level and provides more feedback from the CoC leaders at the GCEH level. The GCEH also acts as the governing body for the Balance of State CoC. The Balance of State sub-committee includes multiple workgroups specifically working toward providing assistance to individuals and families that reside within the 101 counties that are not a part of one of the larger CoCs. This role provides the GCEH an opportunity to work with service providers directly from an area that stretches from Nebraska to Tennessee. With an area that large, there is no way to end homelessness without everyone working together and doing their part. Opening Doors has provided us with national goals to end Veteran and chronic homelessness, making the need for collaboration a top priority. With representation from the U.S. Department of Veterans Affairs, the GCEH has become a home base for programs serving Veterans to share information with CoCs and among Supportive Services for Veteran Families providers. The GCEH also includes members from multiple state health organizations. These organizations take part in the sub-committees that target chronically homeless populations. Information sharing through the GCEH has led to multiple CoCs prioritizing additional beds for these populations. Ending homelessness is not an easy task. The issues surrounding homelessness are complex, and no one service or provider will be able to solve them on their own. We all bring different perspectives and different strategies to help someone. It is so important that we, as a community, as a state, and as a nation, work together – that we learn to work past our differences and find the common ground to build from. We can all do this, but we need to do it together, and a strong Interagency Council is a great place to start. 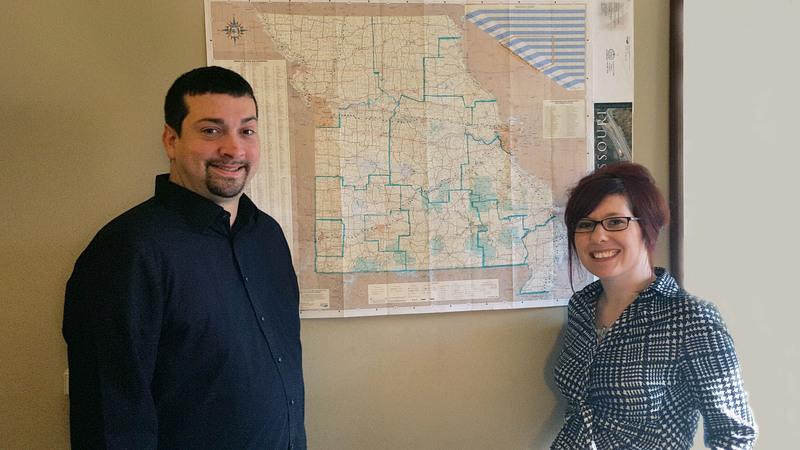 ­­­­­­­­­­­­­­­­­­­­Dustin Allen and Jenni Miller work in the Community Initiatives Department for the Missouri Housing Development Commission (MHDC). MHDC is the lead agency for the Missouri Balance of State Continuum of Care. MHDC serves on and staffs the Missouri Governor’s Committee to End Homelessness.